Why am I so excited about BEOS? As a long time investor and hobbyist in the crypto sphere I am "forced" to be interested in legal and jurisdictional compliance. BEOS meets those criteria because it was carefully designed to launch without an ICO and only after rigorous legal parameters were met! If you go to their site at BEOS.world you will see a red banner at the bottom which reads "This is not an ICO". If you delve any further into this topic you'll discover how careful the team behind BEOS has been and how much this type of forethought was missing when other projects were launched! Non compliance may come back to bite and even bring down other seemingly successful launches! To learn more about the legal diligence that went into this project you can listen to BEOS's legal counsel Larry Hilton here. Appart from the legal ramifications there is a LOT more to love about BEOS! 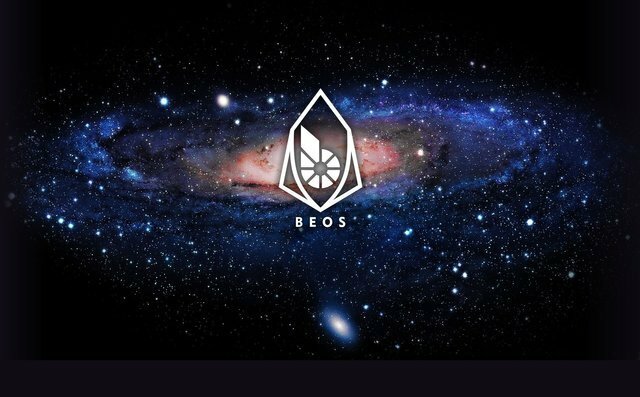 BEOS is a fork of the EOS blockchain which will enhance the value and utility of Graphene family members Bitshares, EOS and BEOS. And remember, Steem is a Graphene family member too! "All 2.6 Billion of the publicly available BEOS tokens will be given away over a "rainfall" period of 89 days beginning a week from this posting on April 9th, 2019. All you have to do is move your bitshares onto the new BEOS chain and leave them sit there for up to 89 days to collect your corresponding share of the BEOS tokens proportional to the total number of BTS everybody deposits there. (If you have 1% of the total deposits, you'll get 1% of the total BEOS given away every hour of every day in the rainfall period.) RAM tokens to give access to memory resources will be given away over a much longer 80 week period." You can read the entire article here: BEOS Launches Today - Here's how to get yours! I followed the instructions contained in the post BEOS Launches Today - Here's how to get yours! and have already received about 100,000 of the 2.6 Billion coins that will be be distributed to Bitshares holders that would like to participate. I can remove my Bitshares from their staked position whenever I want but as long as I leave them there I will receive more tokens every hour of every day for the full 89 days of the rainfall period. Wow! The lead developer of BEOS is Dan Notestein of @blocktrades and blocktrades.us fame and you can learn a lot more about the escrow account that holds your Bitshares from him here. Do You Own Bitshares? You Can Get Free BEOS Tokens! These are exciting times and this is an exciting launch! Thanks for following me on my blockchain travels and I look forward to sharing my adventures with you. I own some BTS... and I followed the whole process. How much BTS you stake to get that much BEOS? Glad to know you’re in the family! Yes, am excited too. But am a bit lazy. I've been thinking of it for several days but haven't staked mine so far. I've very little BTS, so won't benefit me much. Still, I think BEOS will be more valuable than BTS in future. What do you think? There are so many projects out there these days and everyone of it is offering something in return of staking. But only the active and smart people can avail these benefits. For me, I'm thinking of staking my IoTeX for a month now and I've more stake in it than BTS. I look forward to stake all these by this weekend. Why won't I when it's all free! But yeah, you're right to some extent as it's not on high priority for me at the moment. I really need to consolidate my cryptos in few coins to manage them well. Little chunks spread here and there are creating problem for me. Just waiting for the next bull run to get out of many of my coins. I put off doing it too. I found it mentally taxing to do it and in the end it took me about 4 hours to figure it out. The barrier to entry in crypto is high as are the risks and rewards. At the end of the rainfall I hope/expect to have all of my BTS and some BEOS as well. I'm glad that I bought and held Bitshares waiting for an opportunity like this. Of course not everyone can get involved in all the good projects. 500 BTS (about $30 and that for a named account) for me was reasonable considering the huge investment that went into creating this amazing blockchain. Cross chain capabilities just wow! Sharedropping on all BTS stakers...wow! It's like me. I can't buy a house unless I have saved enough for a down payment. Ooooh, this is a piece of very good news: thank you very much, @kus-knee! Do you hold some BTS? Nice. Give me your user name and maybe I’ll send you some BTS. There is a mobile wallet now for IOS so I might check it out! Oh, you are very kind! 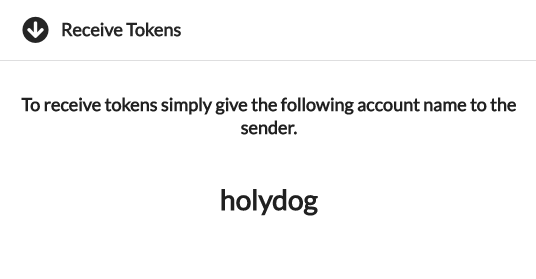 My new BEOS wallet address is holydog. I am not sure I understood the correct use of the keys: I created it with 500 BTS and then I had to leave the house for commitments. Tests done: it seems to work correctly, @kus-knee. Could you please tell me your BEOS wallet address, so I can test a transfer? And what's the name of the mobile wallet for iOS? You can get them as they are in most eyes still undervalued. Joined the platform yesterday and am learning how to stake more bts. Good for you. Did you find it challenging? Yes, very challenging. I kept going back and forth following the video. I hope I am doing it right. So do we keep transferring bts into the beos account? I started off with 1 bts following the video, and then it dawned on me that we are supposed to keep putting bts to beos to enjoy the rain fall rifght? How many bit shares are you putting in? I staked all of my Bitshares. That way I’ll receive more BIOS tokens via rainfall.